Ask open-ended questions: What was your experience?, What did you learn?, How will you apply this new learning? Involve the whole group. That may mean taking the quiet ones aside for a special moment or two. Expect resistance. That’s where much of the learning takes place. Listen. Listen. Listen. Be invisible. Allow emotions to surface. That’s OK. Experts say that is where most behavioral change takes place. Follow the group’s lead, momentum, and topics — not yours. Lead by example: facilitate without judgment or finger-pointing. Say aloud participants’ names, validate their thoughts, and allow discovery to be theirs, not yours. Maintain an atmosphere of trust, safety, and confidentiality at all times. 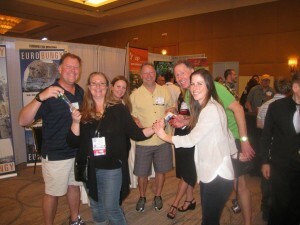 Fun Team Building is based in Atlanta and fosters activities that inspire building trust and employee motivation. Larry Lipman is a Team Building Specialist who successfully coaches participants into powerful and cohesive TEAMS. Follow Fun Team Building on Facebook for great motivational quotes and timely blog posts.